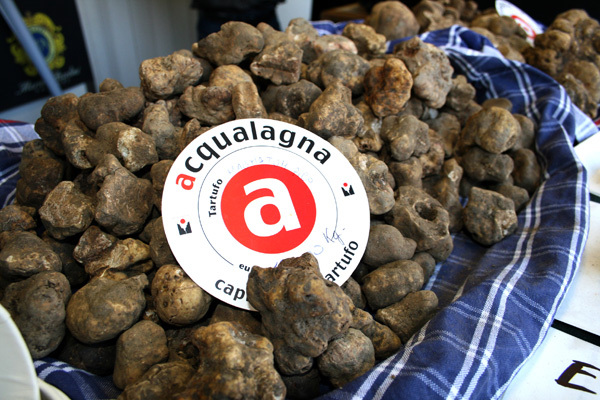 The National Truffle Fair of Acqualagna is the most important event in central Italy dedicated to the Tuber Magnatum Pico. 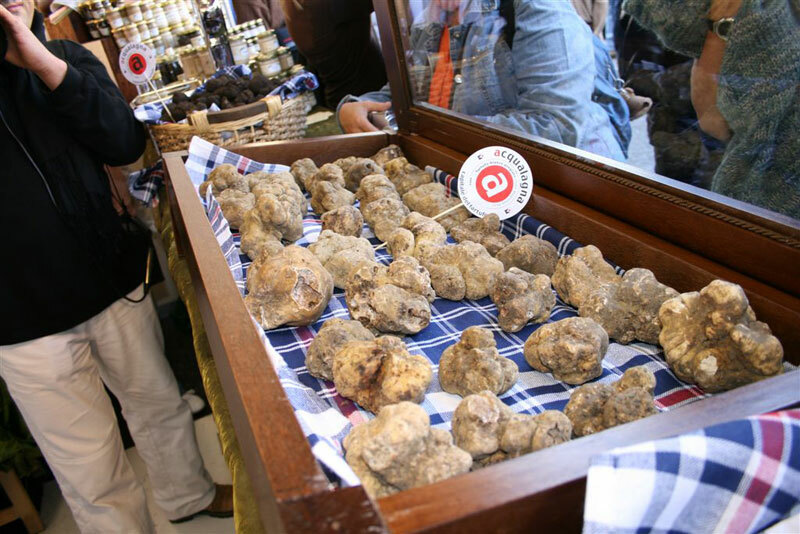 It is a prominent fair which represents the town even abroad and is a meeting point for all those who wish to savour and buy this high quality product. 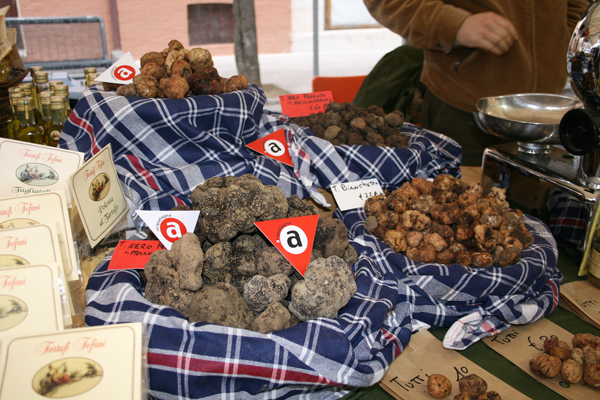 During the year there are three events dedicated to the truffle theme. 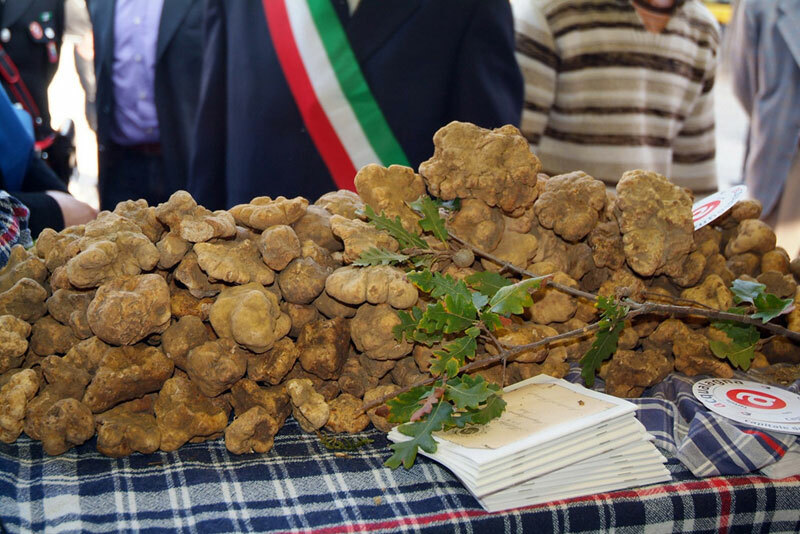 The most important is between October and November, in which the Marchigiana town becomes the chief protagonist of the fine white truffle. 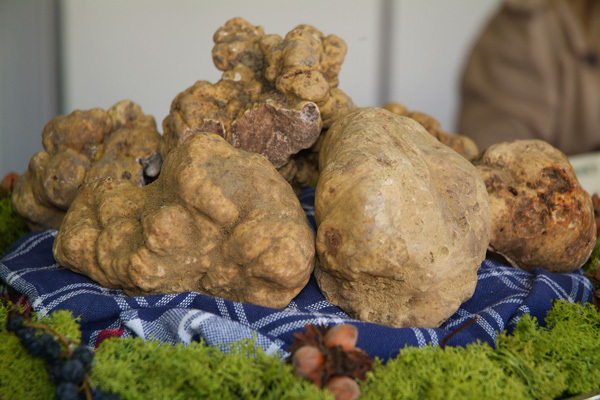 It takes place for three weekends and there are many gastronomic stands, conventions and events demonstrating the latest novelty and the quality and value of the truffle in the entire territory. 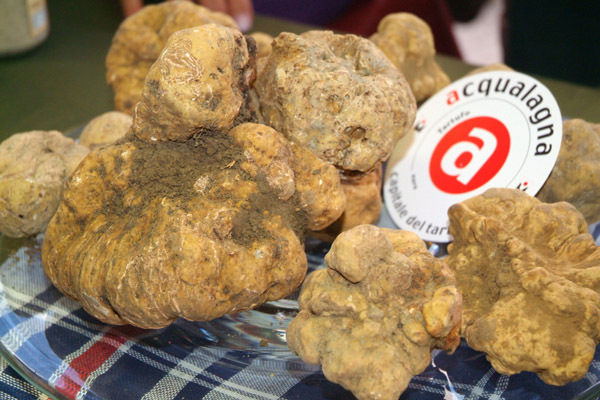 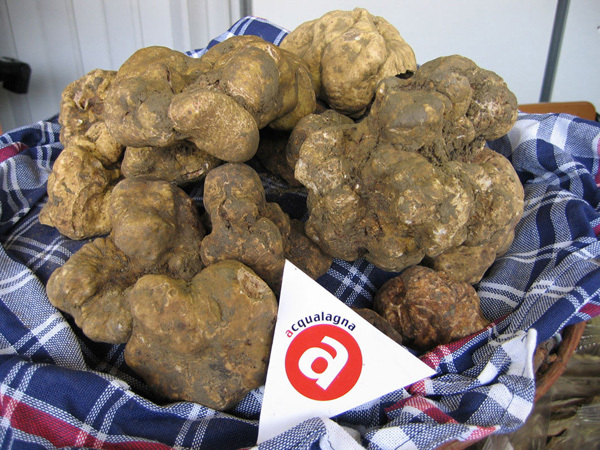 In addition to this event, Acqualagna hosts two more fairs: the first in February dedicated to the fine black truffle and the second in August when the Regional Black Summer Truffle Fair is held. 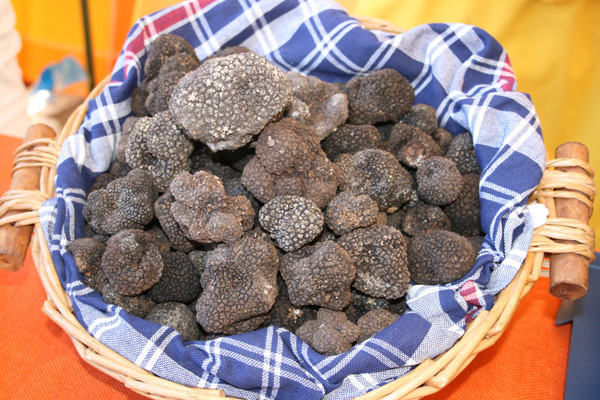 During the events, harvesters and dealers who work in all the world markets, become the reference points for visitors wishing to see, savour and buy the truffle. 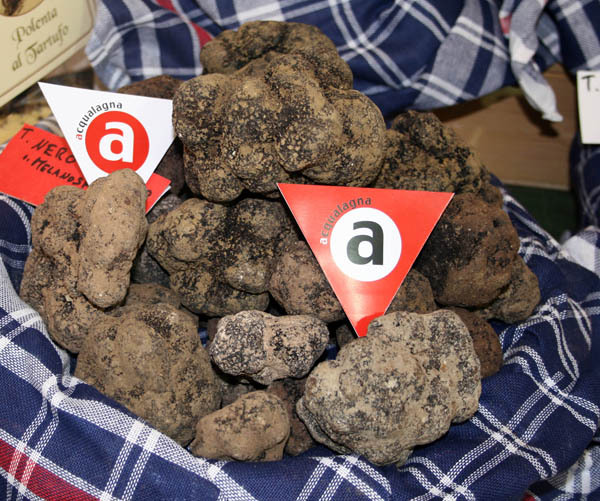 In the last few years, many foreign countries including Germany, Belgium, Hollad, France, the USA and Canada, have become great appraisers of the Marchigiano product. 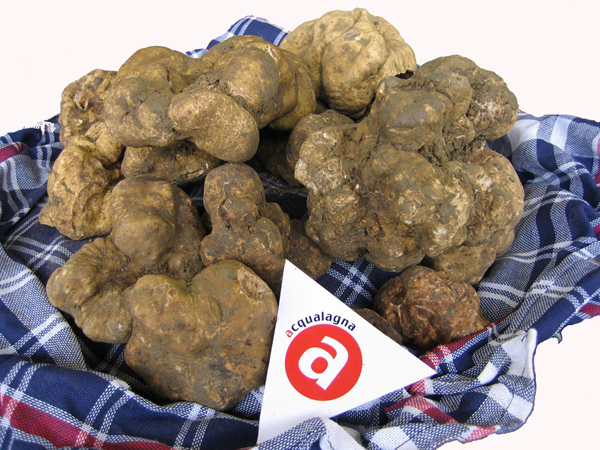 For this reason, during these events Acqualagna overflows with people from all parts of the world who want to try and buy good quality products which is what the truffle has become in the last decade.